The olive is a fruit that when ripened turns black. It varies in origin, color, shape, size, and flavor. You cannot eat it right off of the tree because it requires special processing to reduce its bitter flavor. Black olives as one type of olives are quite popular and taste great. They often serve as a tasty addition to tacos, pasta sauce and antipasti platters. Then people may wonder whether black olives are good for health. Let's find out more. Are Black Olives Good for Your Body? Yes, black olives are quite healthy. They are beneficial because they contain unsaturated fatswhich are good for your cardiovascular health. They are also rich in vitamins and minerals. Look below to find more benefits of eating black olives. Black olives contain antioxidants that prevent free radicals damage. Free radicals oxidize cholesterol and damage your blood vessels, which may also lead to a heart attack. Eating black olives can help impede this process. Black Olives also contain monounsaturated fat that is good for your heart. The presence of vitamin E in black olives makes them effective against free radicals. The oxidation caused by free radicals can damage a cell’s mitochondria, and preventing the cell from producing enough energy. When the DNA of a cell is damaged and it may be cancerous. Together with monounsaturated fats, vitamin E works to make cellular processes safer. Regular consumption of black olives can work well to prevent cancer. When it comes to the skin and hair care, are black olives good for you? Antioxidants and fatty acids found in black olives help keep your skin and hair hydrated and nourished. Vitamin E provides protection against ultraviolet radiation and prevents premature aging and skin cancer. If you have problem areas on your face, simply wash your face with warm water and apply a few drops of olive oil to those spots to have a glowing complexion. It can also be a highly effective conditioner for your hair, especially when you use it after mixing with an egg yolk. Thanks to the anti-inflammatory properties of vitamin E, monounsaturated fats, and polyphenols, black olives prove effective against osteoarthritis, asthma, and rheumatoid arthritis. Inflammation in your body is the underlying cause of these ailments and olives can reduce inflammation by eliminating free radicals. Olive oil can treat pains because it contains a chemical called oleocanthal that alleviates pain and inhibits inflammation. The presence of monounsaturated fats and vitamin E in black olives is responsible for lowering risk of colon cancer. Frequent consumption of olives also helps treat gastritis and ulcers. Black olives activate the secretion of pancreatic hormones and bile to prevent the formation of gallstone. You also get about 17% of your recommended daily intake of fiber from a cup of black olives, which also helps bulk up the stool and improve your overall digestive system health. Are black olives good for you when you want to lose weight? Actually, black olives can be a part of your weight loss diet because they provide you with fiber and monounsaturated fat. They contain satiety hormone called serotonin which helps keep you fuller longer and keep hunger pangs at bay, so that you will eat fewer calories. Black olives are a great source of iron which improves your red blood cells' ability to carry oxygen throughout the body to keep you active and energetic. A lack of iron in your body will make you feel cold and weak. Iron is also essential in the production of energy. A cup of black olives provides you with 10% of your recommended daily intake of vitamin A, which promotes healthy eyes. Vitamin A makes it easier for you to distinguish between dark and light, and improves night vision too. It also prevents macular degeneration, cataracts, glaucoma, and age-related ocular diseases. Olives have antimicrobial properties as well and work amazingly well to kill the bacteria responsible for causing infections and stomach ulcers. The polyphenols in black olives provide you with protection against eight strains of ulcer-causing bacteria, three of which do not respond to some antibiotics. The presence of polyphenols makes black olives a great fruit to reduce oxidative stress in the brain. Regular consumption of olives may help improve your memory. Besides, vitamin E and iron help strengthen your immune system. You already have the answer to "Are black olives good for you", but you may get a better picture about how good black olives are by checking their nutrition facts. You get about 142 calories out of a cup of black olives. The same serving provides you with 13g of fat and 1g of protein. The fat in black olives is primarily monounsaturated fat which is reduces the risk of heart attack, heart disease, and stroke. You can get about 8g of carbs from a cup of black olives with 4g of fiber and 1,188mg of sodium. A cup of olives provides you with the same amount of fiber as any high-fiber cereal or bread. The sodium content of olives is on the higher side, because you should not eat more than 2,300mg of sodium a day. When you are on a low-sodium diet, consume no more than 1500mg sodium. Pay attention to your serving sizes to avoid problems. What's more, black olives also provide you with other nutrients such as vitamin K, vitamin A, copper, iron, magnesium, calcium, and dietary fiber. 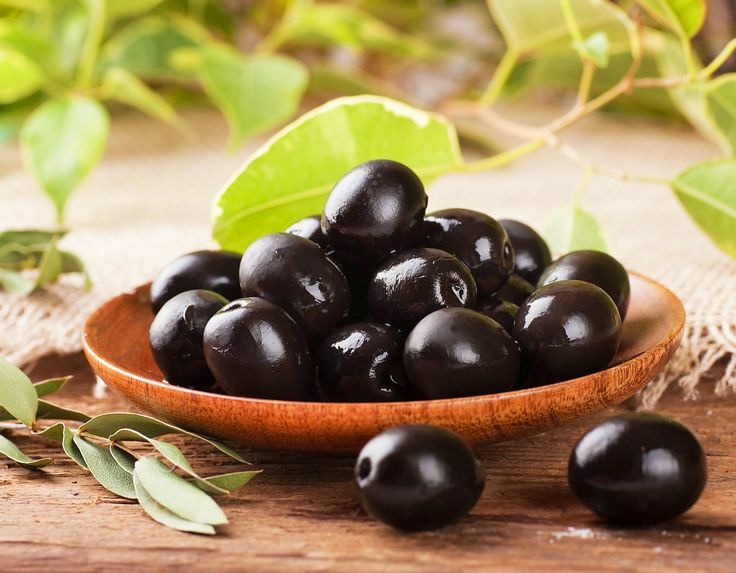 Overall, black olives are quite safe and healthy, but some people may develop an allergic reaction mainly because they contain lye brine (caustic soda). Moreover, salt cured olives are very high in sodium, so it is a good idea to wash them in clean water to get salt/lye content removed. You should also avoid buying cans of black olives because FDA has confirmed that some canned brands of black pitted olives have 1,925ppb or higher levels of acrylamide, which can cause physical damage. 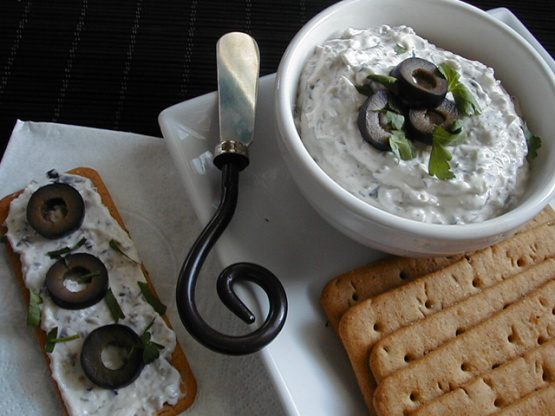 The best thing is to opt for the natural blackish-brown olives like mission or Kalamata.  Add everything in a bowl and mix well until blended.  Put it in the refrigerator and serve when chilled.